Wood flooring can be considered an expensive option when building or renovating a house, but its beauty and durability make the expenses all worth it. Carpet may be a cheaper alternative, but it gets worn out in just a few years, and you end up spending hard-earned money again to replace it. Since we mention how costly wood flooring can be, it can last a lifetime if you apply proper care and maintenance on it. The usual cleaning routine will be mopping and waxing, but how about when it’s winter? Your nice wood floor will need more care to protect it and to keep its beauty. Humidity causes wood flooring to expand and contract especially during winter. Excessive dryness in your home because of central heating can be damaging to the wood flooring. Dryness can cause a lot of shrinkage with your flooring. You’ll see the wood shrinking when you start to see unsightly spaces between the boards. Snow in winter also means excessive dampness, which causes your wood flooring to expand. After the two extremes of expanding and contracting, the appearance and durability of your wood may be greatly affected. Solution: Use a humidifier and dehumidifier to prevent the expansion and contraction of your wood flooring. Keep the humidity level from 40% to 60% the entire year and your wood flooring will love you. These elements of winter consist of rainwater, snow and dirt, salt and gravel that get dragged into your home. When water from your shoes touches your wood flooring, it can cause the floors to warp and cause gaps between the boards. The salt and grit from your boots and shoes can scratch and nick your wood flooring. Solution: Place floor mats to keep your floors from getting wet. Remove your shoes before entering the house, but if that is hard to monitor, then place rugs and mats to wipe their shoes with. Same with pets, have them dry up first on the mat before they can walk all over your wood flooring. It’ll be an easy option if you do have warranty for your floors against the snow and other harmful effects of winter. So before purchasing your wood flooring, make sure that the product warranty includes damages brought about by winter because you just can never be too sure! When vacuuming, ensure that the vacuum head uses brush or felt, and preferably, a wand attachment. Place doormats inside and outside your house. Keep the room away from direct sunlight. 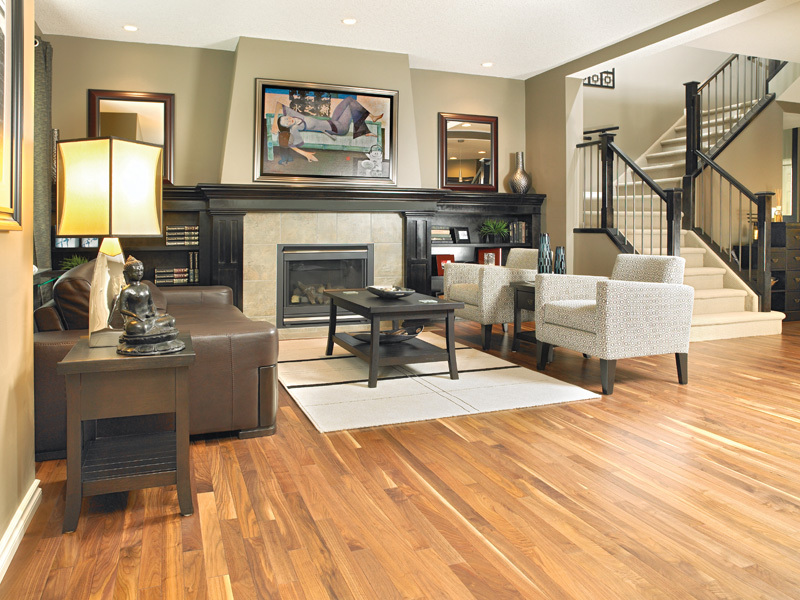 In summary, wood flooring is actually pretty easy to clean, but it does need a little more care during winter. 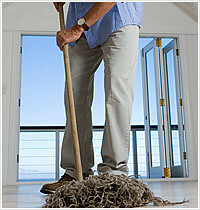 Keep on mopping your floor with a slightly damp mop to get rid of the elements of winter. 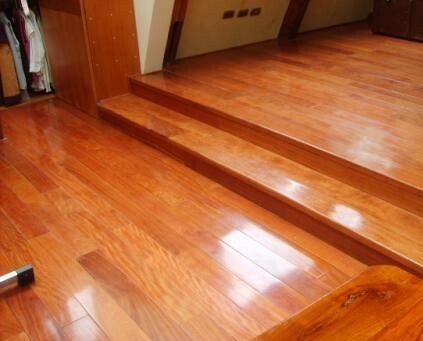 Give it a nice protective coating or varnish as well for a natural shine that will make you keep on loving your wood flooring. Just with the right amount of maintenance, you can save yourself time, money, and work with your wood flooring. Samantha Hudson is a home improvement enthusiast and a contributing blogger for Carolina Flooring Services, a leading retailer of flooring products including bamboo, cork, hardwood, tile, vinyl, and carpet in Charleston, SC.